Responsibility system of project manager：after innovation, the person in the production line change to be sales, in order to expand the market. After half year trial operation,they choice continue to be a sales and expend the market. Team work: under responsibity system of project manager, 1 top sales manager, 2-3 sales assistant, small tam work, make the best use of the talents and strengths. After Portable cnc cutting machine opened the international market(Annual export about 400 sets), gantry type and table type cutter opend the international market successfully. Export quantity reached 50 sets in 2015, and show the market demands of the table type cutters. More years, Shandong agency give company much confidence and some support, and give some constructive suggestions about the sales, quality. They successful get a large amount order for Water jet cutter, expend a new sales market. The core technology of CNC cutting machines: CNC numerical control systems and THC height controller, will be improved and enhanced. the original independent CNC, THC, PLC will be integrated together.it will result in a more professional and more advanced embedded control technology . New technology makes the product more mature and stable, to simplify complex technology. Production and installation, maintenance, user training will be more easier. Now just need two engineer to completed after-sales service instead of more than 20 people after-sales team , which greatly saves the costs. 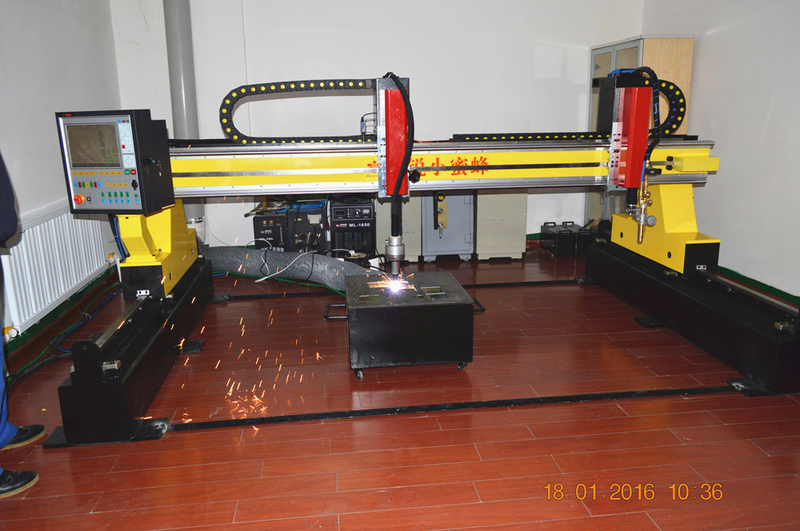 In the beginning of 2016, HoneybeeCNC introduced two new products,one is steel structure similar laser cutting machine which is have true dual drive axis which ensure the high precise and high cutting speed .Another is the table style cutting machine for thin plate cutting which is especially use for advertisement lines. Meanwhile, the company will intends to launch the laser cutting machine and related products.